The dye pots keep a- brewin' at Nutmeg Hare! ..And what fun it is as wools are dyed 1/2 yard per pot. 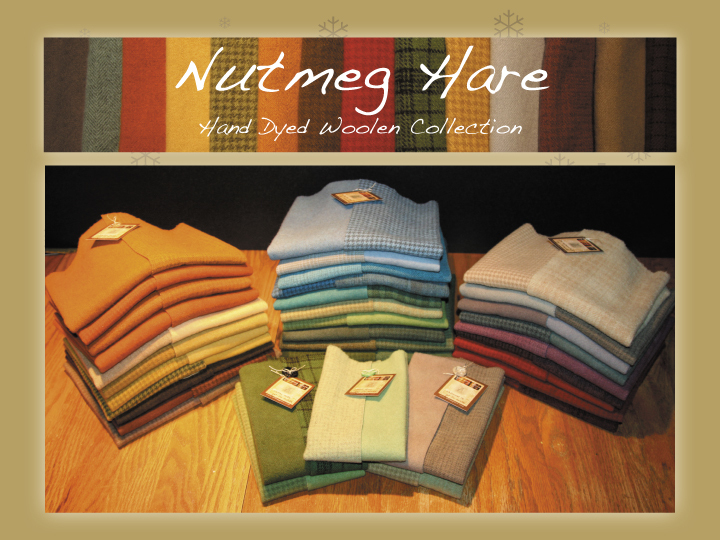 Nutmeg Hare is excited to offer our very own hand dyed woolen collection to you. These beautiful woolens, so soft and lovely to stitch with, are available to you in a variety of textures and colors. Coordinating two piece bundle packs are available...AND... Now our woolen charm packs have been added to the collection! ...along with new color choices brewing in the pots!